Funded by the Illinois Humanities Council and directed by María Eugenia de la Torre, lecturer at UIC, Casa Aztlán, and Javier Villa-Flores, this project to document the history of Mexican activism builds upon the continuing effort of both the Great Cities Commitment at UIC and the Latin American and Latino Studies Program (LALS) to bridge the gap between academic research and the Latino community in Chicago.With a rich tradition of labor and political activism, the Pilsen neighborhood, just south of UIC, became a bastion of the Mexican struggle for civil rights in the 1970s. 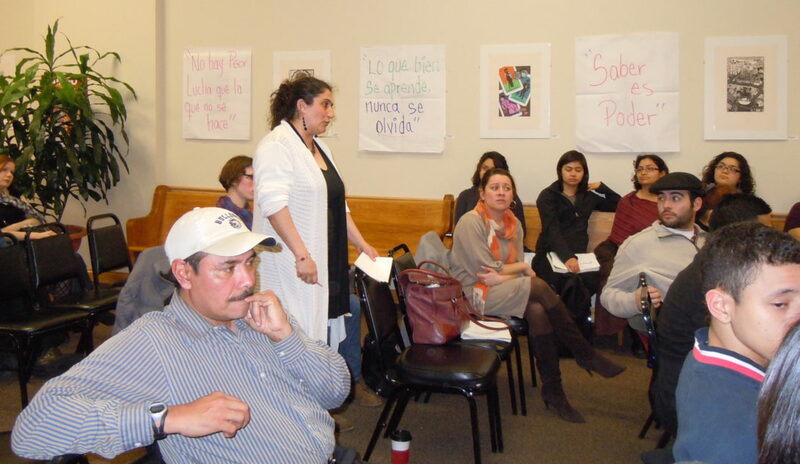 In spite of its rich history, many in the Pilsen community and city of Chicago more generally still know precious little about this institution or about the history of Mexican activism in the Midwest. A comprehensive oral history will help construct a more complete picture of the rich social and political history of Mexican activism. Sharing our history in the Mexican community.